Munster go into Saturday evening’s provincial derby clash as 4/7 favourites to beat in-form Leinster according to Ladbrokes. The Thomond Park showdown will be a chance for redemption for the Munster men who have been on the end of a Leinster beating in the last 5 meetings. Despite their top form in the Heineken Cup and Magners League, Leinster are 11/8 to continue that unbeaten run. Fresh from his outstanding display against England, Keith Earls is 11/1 with Ladbrokes for first try scorer while Luke Fitzgerald is favourite amongst the Leinster contingent at 12/1. 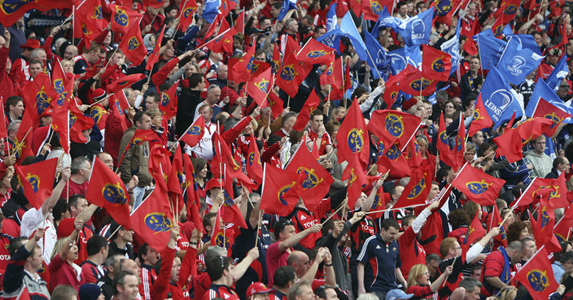 Munster still head the betting to win the Magners League at 5/4 with Leinster priced at 3/1.